Ranking #1 in a Google search is the best thing that can happen to your blog, and while it’s not impossible, it is certainly not easy. 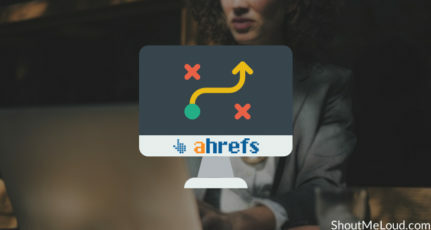 When you are ranking among the sites on the first page of a Google search, but your site is not in the top three search engine positions, how can you use that rank to improve your position? This is an important question and one which requires a review of a few different techniques you can implement to get higher CTR from a Google search. I have tried and tested these factors and they have worked for me, so they should work for you too. Showing star ratings in a Google search is a powerful way to get more CTR. Not only does it make your results stand out within the search engine results, it also helps in getting clicks. It offers more information in the search engine and thus helps to drive more traffic to a webpage. 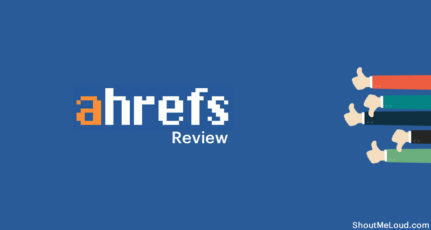 If you write review articles, such as web hosting or web apps reviews, for example, you can use the Google Rich Snippet star rating to make your reviews stand out. These star ratings work to rank the product you are reviewing, and they clearly stand out. With a star rating, you can easily make your review article stand out even in competitive keyword results. WP Schema Pro is the best plugin for showing star ratings in searches, while also allowing you to add a review box in your blog post. Along with star ratings, you can also add a nice call-to-action button at the top or at the end of an article that will help you to get more CTR to the product you are endorsing. 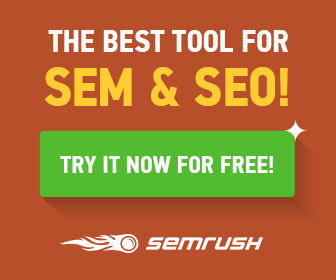 If you are a blogger in any niche and you review services, products, apps, mobile phones, etc., use this plugin and you will notice a great improvement in the Google search CTR to your blog. Dates are very useful for letting readers know when a blog post was written, thus allowing them to understand how recent the information they’re reading is. When you have an older blog, despite having written and published evergreen content on that blog you may notice poor CTR from Google searches due to dates in Google SERP’s. I mention this in greater detail in my Google Panda recovery guide. There are ways to tweak dates so that they show up in your blog posts but are hidden from Google searches. For instance, on my blog I have a habit of constantly updating my old posts to keep the content/information up-to-date, and this works very well. If you have been noticing poor CTR for your older blog posts, my recommendation would be to remove the dates from Google SERP’s for your blog posts, keep your content up-to-date, and you will notice a significant improvement in CTR. This should probably be the first tip I offered in this post, but because it is among the oldest techniques, I am offering it last. Google and most other search engines use your meta title and meta description to show information in Google searches. 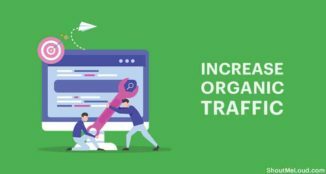 Writing call-to-action meta titles will help you to get better CTR, and writing detailed meta descriptions using keywords will help you to get better rankings. 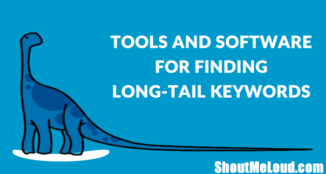 You can use plugins like WordPress SEO by Yoast, and you can use it to write meta-post titles and descriptions that will help you to increase your Google search CTR. There are other factors such as AMP, video thumbnails and instant previews that are also helpful in maximizing CTR from Google searches. 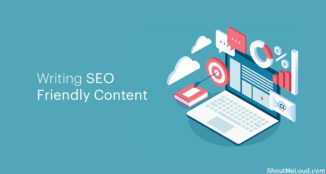 But for now, if you implement the latest SEO techniques on your blog as noted above, you will be improving the way your blog post’s listings stand out in Google searches. Use the comments section below to let me know if you use any other technique that helps you to get better CTR from organic searches. If you find this article useful, don’t forget to share with your friends and colleagues on Facebook, Twitter and Whatsapp. This tips and techniques are seen useful. 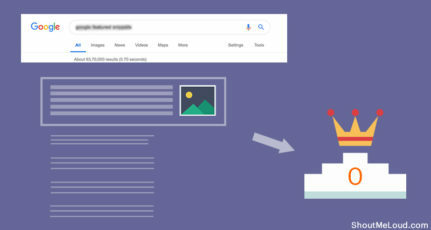 Specially date hiding technique from Google serp and going to implement on my own blog. Thanks Harsh for this useful information. All the 4 tips were very useful. Your article motivated me to do the changes right now. I want to add one more post. Using breadcrumbs in Google search can be a good idea. I think it make search result more clear. Yet another worth reading post. Harsh, I believe the correct usage of rich snippets in the search engine can also boost up the presence of links (ahead of Google Author Rank), and also improves the CTR. do Breadcrumbs really help us in raking our page and making users to navigate our website ? and is there any other alternative for Breadcrumbs where user can get Best Navigation to our posts ? This article has said all basic techniques to increase your CTR. One point I liked too much, which is remove your post dates. Kindly share, how we can remove dates from Google SERP. always failed to implement authorship, doh! Hai Mr. Harsh. I am a blogger, recently i have watched your “WordPress SEO Basics for Beginners in Blogging Seminar” in Youtube. Now i have add some Plugins for my blog with the help of that video. Thank you. But i con’t add Google Authorship Image. Thank you Hars.. those five stars will attract anybody’s eyes and do click immideatly. Can blogspot platform do the same thing ?. There are also other possibilities to separate keywords. For example, the use of an underscore is often beneficial, as per our initial results. The experiments show that URL variations with an underscore have slightly higher Click-Through Rate than variations using hyphens. Thanks for sharing this valuable information, I’ll implement the first one soon, while I’ve been using the 2nd and 3rd. Keep up the good work!